Staff and pupils of Oakley School were keen to ensure that the trees that had to be cut down during the summer, to make space for our new classrooms, were replaced. Having put our heads together, we found the Woodland Trust Community Trees Scheme. 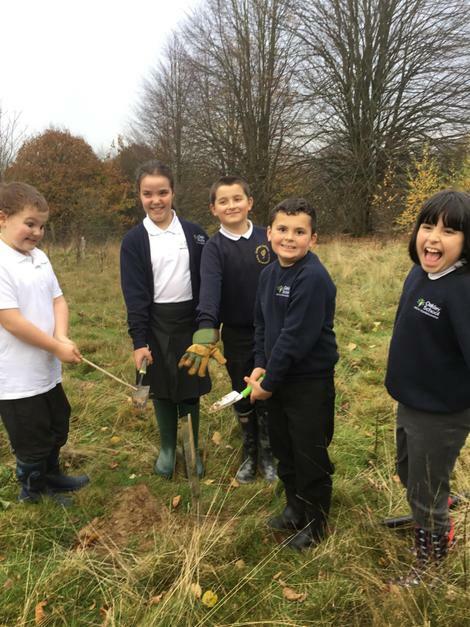 We applied for a small copse pack, thirty trees to plant in our field and hopefully create another wildlife area at the back of the school. We were delighted that our application was successful! Teams of pupils and staff have been busy planting and Oakley would like to say a huge thank you to the Woodland Trust for providing us with this amazing resource.